Government has applied for a Hydro Electric Power Licence to a build a facility for Mabaruma, Region. According to the Official Gazette of August 25, 2018, the company applying is the Hinterland Electrification Company Inc./Mabaruma Power Company. It was announced in July that the construction would have begun this month. The offices of the companies are located at the Wight’s Lane compound of the Ministry of Public Infrastructure, which is also in charge of the electricity sector. The application was made since May 11th. It was explained that the plan is to build the facility at the Hosororo Creek, Region One. The construction will eventually see the companies operate 20kW hydropower facility at Hosororo, Region 1 and supply the energy generated to the Mabaruma Power Company. “Any person(s) may within twenty-one (21) days of the first publication of this notice, lodge with the Chief Executive Officer of the Guyana Energy Agency, Lot 295 Quamina Street, South Cummingsburg, Georgetown, a Petition to the Minister objecting to the grant of the Licence,” the notice in the Official Gazette said. While it is estimated that it takes US$0.50 to produce a kilowatt-hour from diesel and US$0.36 to produce a kilowatt-hour from solar, hydropower would cost US$0.31 to produce a kilowatt-hour of energy. However, due to grant financing for the project, the cost would reduce to US$0.21/kWh. 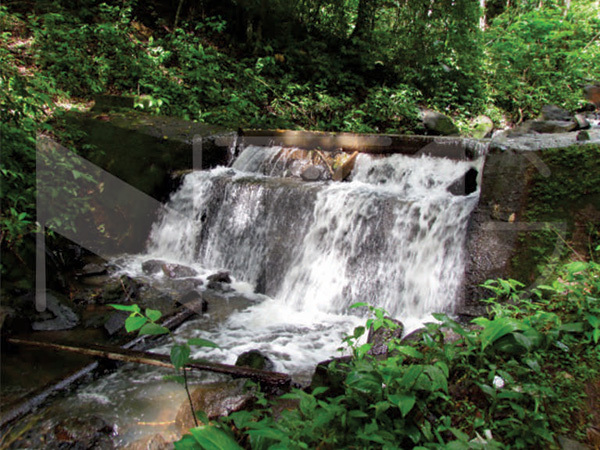 The Hosororo Hydropower Project was one of 67 sites identified in 1976 as having hydropower potential. Situated at the Hosororo Creek about 4.6 km to the south-west of Mabaruma, the initial plant was built in the late 1980s to supply electricity to an agricultural produce processing facility that was built nearby. The project was abandoned some years after its inauguration. In 2015, the German Government, through its German Agency for International Cooperation (GIZ) initiative, committed to assisting the GEA with developing the project. The US$165,175 project received US$91,108 in financing from the Government of Guyana and US$74,067 in financing from GIZ/REETA. The Hinterland Electrification Company Inc. (HECI) has its genesis in the Project Execution Unit (PEU) of the Office of the Prime Minister. The PEU was established in 2004, under the previous administration, to manage the implementation of the Government of Guyana (GoG)/Inter-American Development Bank (IDB)-sponsored Unserved Areas Electrification Programme (UAEP). The main objectives of the UEAP were to expand existing coastal electricity grids to unserved areas within a feasible distance from the grids, and to examine ways in which hinterland areas could be provided with electricity in the most cost effective and sustainable manner. With regards to the latter, the PEU implemented several demonstration electricity projects in hinterland communities to test their viability for possible replication in other communities. The UAEP ended in December 2010. Following its closure, the Prime Minister at the time, Samuel Hinds, with support from the Cabinet, decided to maintain the PEU to provide technical and other support to hinterland projects implemented under the UAEP. The unit, according to the ministry, was also expected to develop and implement new projects based on government’s development plan for the hinterland. Accordingly, the PEU was renamed Hinterland Electrification Unit (HEU), and it remained part of the Office of the Prime Minister. In January 2015, however, the HEU was incorporated (with the name Hinterland Electrification Company Inc.) as a subsidiary of National Industrial and Commercial Investments Ltd. (NICIL) for holding of all satellite electricity companies owned by NICIL. The satellite companies include Linden Electricity Company Inc. (LECI), Kwakwani Utilities Inc. (KUI), Lethem Power Company Inc. (LMPC), Port Kaituma Power & Light Inc. (PKPL), Mahdia Power & Light Inc. (MPL) and Matthew’s Ridge Power & Light Inc. (MRPL). The HECI is now part of the Ministry of Public Infrastructure.